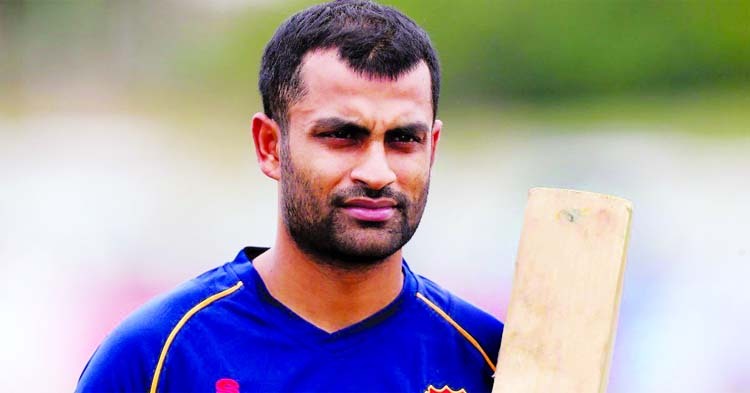 Sudden injury trouble hit flamboyant Bangladesh opener Tamim Iqbal's possibility of appearing in the first match of the Asia Cup. A supposedly elementary hurt has threatened Tamim Iqbal's participation in the opening match of the Asia Cup 2018. The Bangladesh opener damaged his finger during fielding practice that did not seem to be severe enough at the first stage. But as pain persisted lately, X - ray images revealed fracture in right hand finger. Chief selector Minhajul Abedin Nannu said, "Tamim has hurt his finger. So we have keep Mominul Haque as possible replacement if need be. He (Mominul) could play in case of necessity." The list of injury for Bangladesh has lengthened before the 2018 Asia Cup in United Arab Emirates that is going to be kicked off on September 15. World number one all-rounder Shakib Al Hasan is also under threatening state due to finger injury. Last but not the least, another Bangladesh top order batsman Nazmul Hossain Shanto is carrying a left finger injury which was also inflicted during the fielding practice.